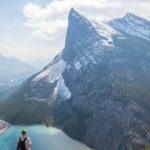 BANFF NATIONAL PARK, Alberta – The campgrounds surrounding Banff National Park offer the most inexpensive way to lodge while providing campers with the best scenery and access to nature. 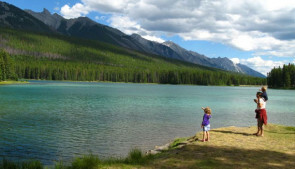 The 13 Banff National Park campgrounds offer 2,468 sites and they are very affordable. 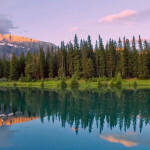 The demand for campgrounds peaks from June through September, with July and August being the busiest. 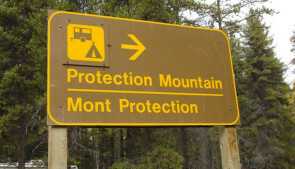 Most of the campgrounds operate on a first come – first serve basis. 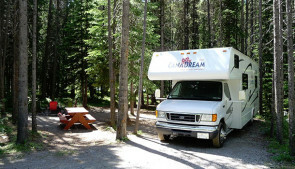 It is advisable that campers without reservations arrive at a campground early to have the best chance of getting a site. 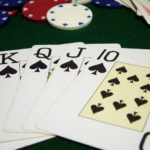 Dates of operation vary. 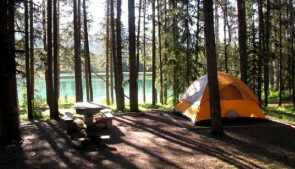 Summer camping begins in early May, with all campgrounds open by mid to late June. 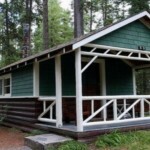 Summer campgrounds close throughout September and October. 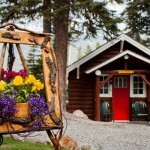 Winter camping is available at Tunnel Mountain Village II and Lake Louise Campground. 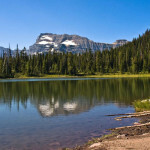 Campers can make a reservation at any of these national parks on-line, 24 hours a day, at www.pccamping.ca. You can also dial 1-877-737-3783 (1-877-RESERVE), a toll-free number, to make a reservation through a call centre in operation from 07:00 to 19:00 local time each day. 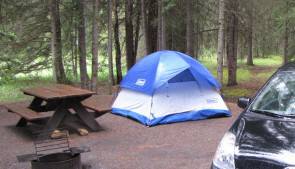 All campers must purchase a camping permit at the campground kiosk or at the self registration kiosk. 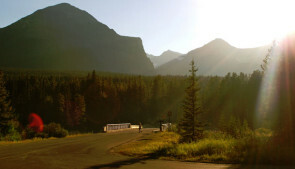 Campers have the option of purchasing a fire permit at these locations as well and must have a valid Park Pass to camp. 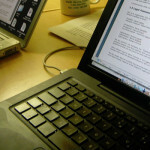 Campers failing to purchase a pass are subject to fines. 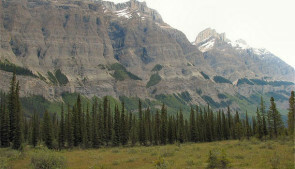 Interpretive programs are available in some of the campgrounds during the summer months. These programs are free and everyone is welcome to attend. 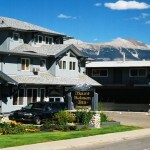 Consult with campground or visitor centre staff for details. 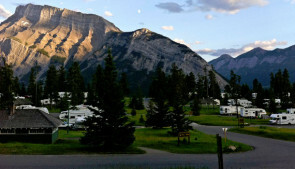 Banff National Parks campgrounds garner an enormous amount of traffic. Please pick up after yourself and never leaf food behind. Open containers and available food will attract bears. 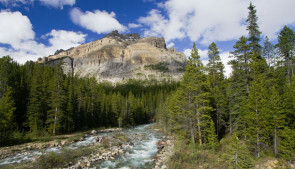 Located near the Columbia Icefield, Rampart Creek Campground is 147 km from Banff.